Friday, December 14, will be the last day of classes before the Winter Holiday. There will be regular shuttle bus service in the morning and afternoon for HS students that day. Dormitories will close at 16:00 on Saturday, December 15, and reopen at noon on Saturday, January 5. Please note that we will not be sending any Weekly Bulletins next week. Classes will resume on Monday, January 7, and our next Weekly Bulletins will be sent on Friday, January 11. We very much appreciate all you do to keep this community strong and focused on the importance of friendship and respect. We have organized so many events involving parents and students from all divisions this semester. 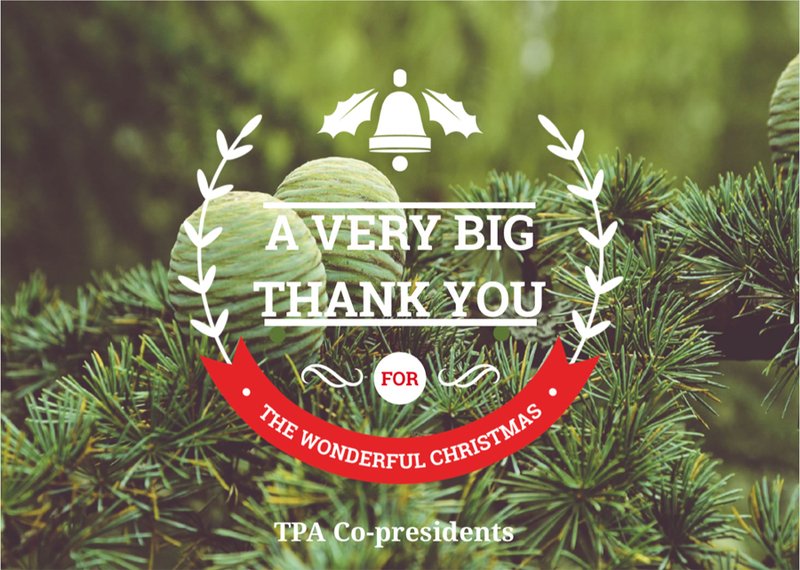 The TPA is something special! Those who are involved understand what we are talking about. We learn from each other every day and see how passion can drive our choices to be generous and become better people by dedicating time to others. We believe there is nothing more beautiful than a firm handshake, a warm hug, and a smiling and understanding friend. 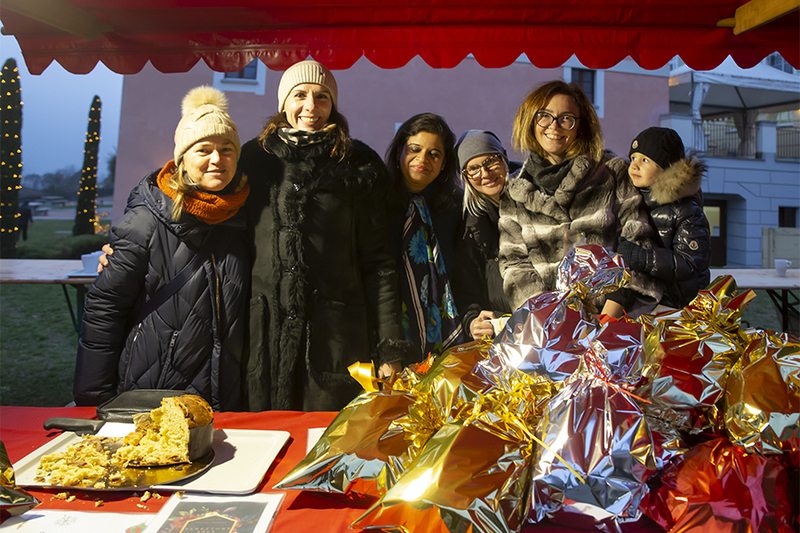 Thanks to our partnership, the TASIS Service Learning Programs raised CHF 2,860 for their humanitarian projects during the Holiday Market. 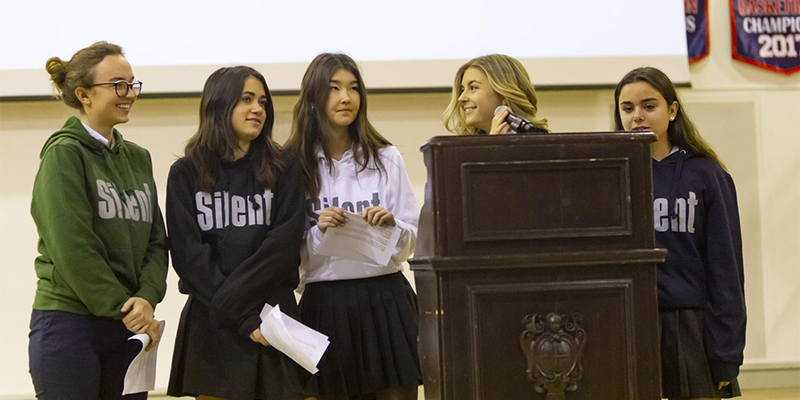 These students want to enrich their lives and this world, and we are happy to support them. We are thrilled to share this amazing result! Are we hard workers? Yes! Together, we make a strong and unstoppable community. We are very proud of this! Thanks a lot, dear friends. We wish you a Merry Christmas and a Happy New Year! See more photos from the TPA Holiday Market and Christmas Tree Lighting Ceremony on the TASIS SmugMug page. Lynn Fleming Aeschliman, Chairman of the Board, and Christopher Nikoloff, Headmaster, cordially invite you to the annual TASIS Christmas Service at the church of San Nicolao della Flüe (Via al Colle, Lugano-Besso) on Sunday, December 9, at 15:30. The Service will feature performances from the ES, MS, HS, and Faculty Choirs and the TASIS Instrument Ensemble. The musicians will be supported by TASIS music teachers, associated members of the Conservatorio della Svizzera Italiana, and the Opera Viva Orchestra. A reception for parents, friends, and performers will follow the Service. 12:30 Students must be in the main TASIS parking lot. 12:45 All participants—singers, musicians, and readers—will be taken by bus from TASIS to the San Nicolao Church. Day families: Please note that day student performers must travel to the church with the School. All proceeds raised throughout the week will be donated to a group of Tibetan refugees in Tserok that the Nepal group has partnered with since 2015. This year's service project will be reinforcing and building a new section of a water retention wall to protect their village from flooding when the nearby river rises. New Global Service Program Director Danny Schiff worked with outgoing director Zach Mulert to develop the two-week trip to Nepal after traveling to the Everest region on his own six years ago. This is a reminder that Headmaster Christopher Nikoloff will provide an institutional update on the strategic directions and initiatives of the School in the Palmer Center on Tuesday, December 11. Refreshments will be served at 18:30, and the presentation will begin at 19:00. Please note that students interested in taking the ACT on February 9 must register by January 11, and students who wish to take the SAT on March 9 must register by February 8. Please consult the 2018–2019 Standardized Testing Recommendations and Schedule for more information about standardized tests students may need to take during their high school years. So often overlooked because she plays a defensive position and her stats usually don’t warrant a lot of attention, Eve is, according to Varsity Girls Soccer Coach Matt Walker, the single biggest reason (perhaps aside from Heather Hines’s left foot) the Tigers went from a team that finished dead last in the first two tournaments of the year to first and second in the last two. She stood out at all three of the November tournaments and was named an All-Star at each one. A co-captain, MVP recipient, and PRIDE Award winner, Virginia has been a leader in the true sense of the word. She has been an inspiration both in skills and work ethic for the Middle School and Varsity High School Volleyball teams over the past six years. She always gave her best to the program, whether at a practice or a game, and her calming presence on the court as a setter reassured her teammates and created fluidity within the team's attacking strategy. She will be sorely missed next year. Alessandro has been a valuable addition to the TASIS Rugby 7s team, not only for his prior knowledge of and experience with the game but for the respect and mature attitude he has shown to his coaches and older teammates. He demonstrated both commitment and discipline during practice and during the tournaments the team played in this season. In the tournaments, he continuously worked hard both in attack and defense and was not afraid to tackle opposing players much larger than himself. 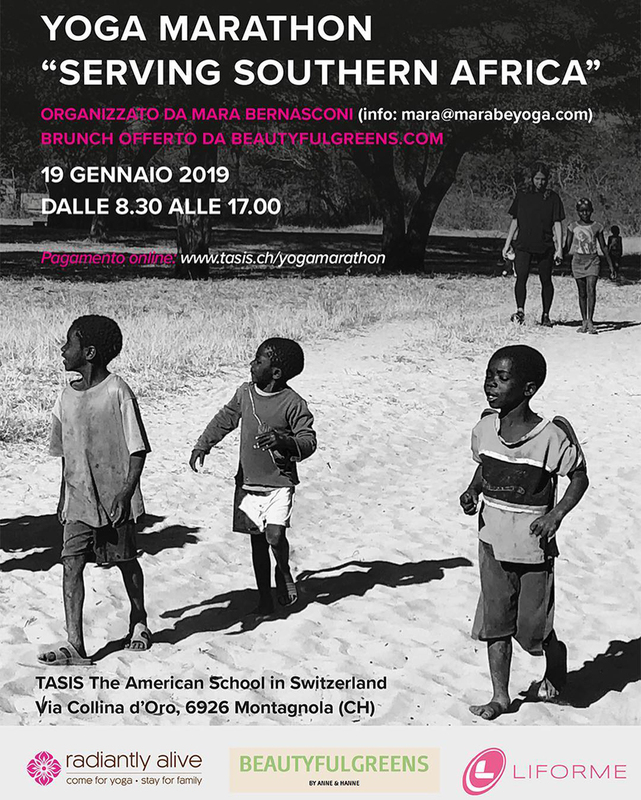 TASIS faculty member and yoga instructor Mara Bernasconi is organizing a “Serving Southern Africa” Yoga Marathon that will take place on Saturday, January 19. The event will feature a variety of yoga classes offered from 9:00–17:00, a lunch provided by Beautyful Greens, and a raffle with a number of exciting prizes. All proceeds will benefit Serving Southern Africa, an Opsahl Global Service Program group that travels to Zambia and Botswana for two weeks each year. Visit tasis.ch/yogamarathon to register for yoga classes and learn more about this exciting event. 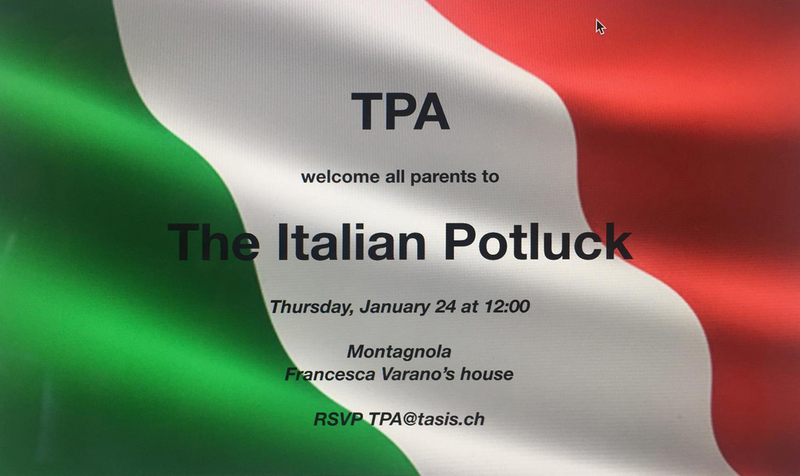 All TASIS parents are cordially invited to an Italian Potluck hosted at the home of Francesca Varano in Montagnola on Thursday, January 24, at 12:00. Bring your favorite dish to share! This is a kind and generous invitation from a TASIS mom. It is important to confirm your availability in advance. To RSVP, please send an email to tpa@tasis.ch. During the lunch, Brunella and Laura, TPA co-presidents, will share results from recent events and discuss TPA events planned for February–June, 2019. We are excited to welcome you! 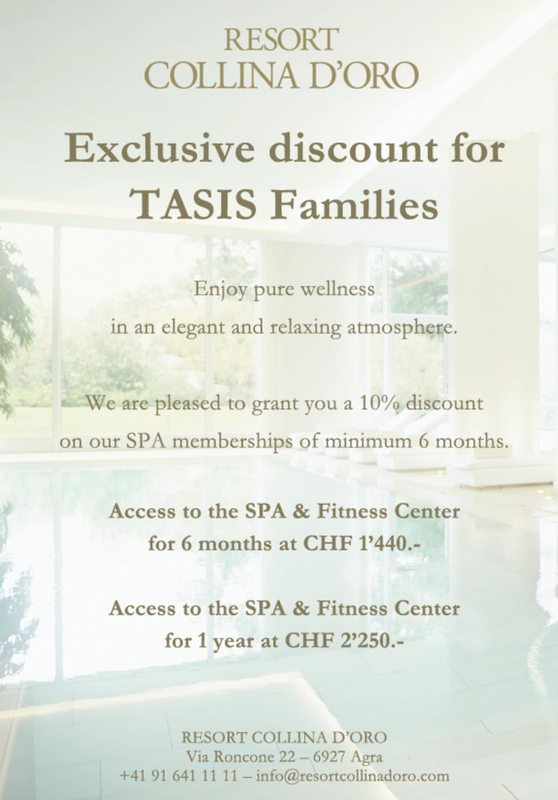 The beautiful Resort Collina d’Oro in Agra is pleased to offer a 10 percent discount to any TASIS families interested in a six-month or 12-month membership to the resort’s Spa and Fitness Center. All TASIS parents and TASIS students aged 16 and over are eligible for this discount. Contact Resort Collina d’Oro at +41 91 641 1111 or info@resortcollinadoro.com with any questions.